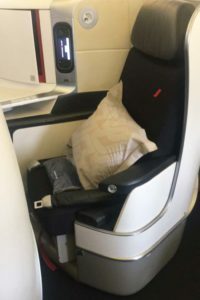 Although it feels a tad shallow in the takeoff and landing configuration, the Air France B777 Business Class seat is impressive. A 1-2-1 reverse herringbone configuration on this aircraft is rare and provides a higher degree of privacy and comfort than most airlines. The seat is also more spacious than most, especially when it comes to the enormous footwell, giving fussy sleepers plenty of room to move. A storage cabinet is a nice touch, complete with mirror and storage hook for headphones. One USB socket and one international powerpoint are available for in-seat charging. A leg-side compartment for books and laptops is handy, with water bottle storage nearby (it’s not visible from the seated position, however, so it’s easy to miss). Take note that the seat control buttons are located exactly where one would put their elbow…we frequently found our seat moving unexpectedly. 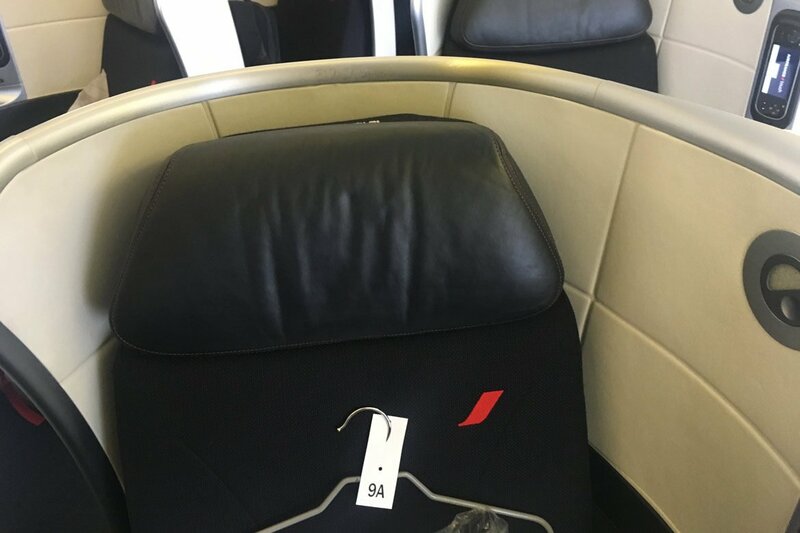 Our seat, 9A, was a little too close to the toilets and gallery to be private enough, but all in all the Air France B777 seat is one of the top examples in its class. 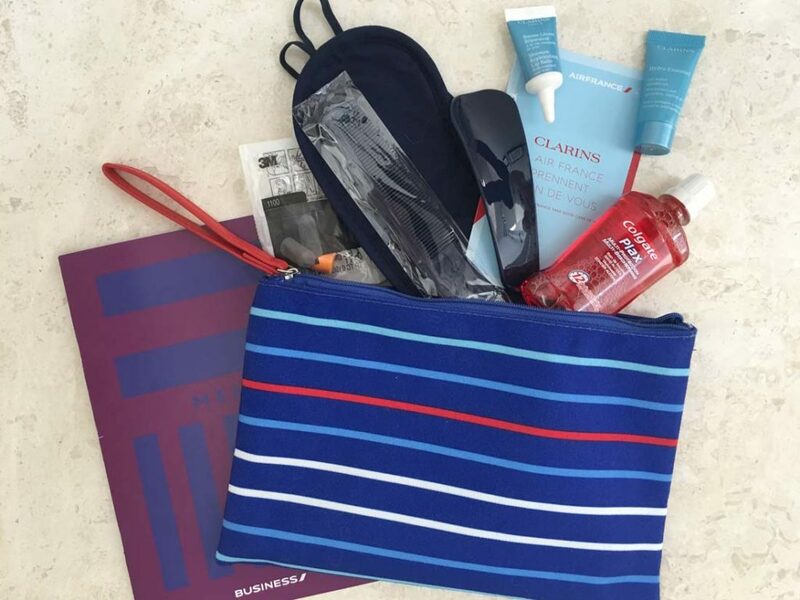 While the red, white and blue striped pouch comes complete with the fairly standard eye mask, ear plugs, tooth brush, mouth wash and comb, the Clarins moisturizer and lip balm are a nice touch – and there’s even a shoe horn. 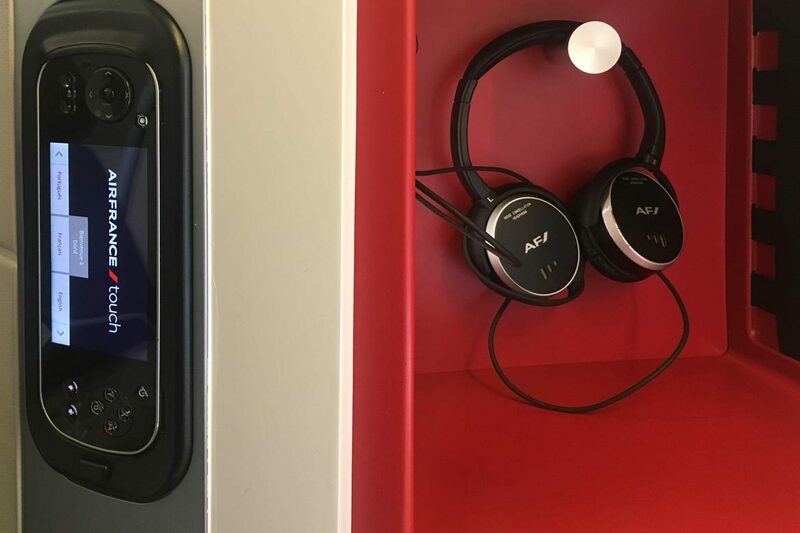 Clarins pops up throughout the Air France brand experience, with 20-minute facials provided in the Charles de Gaulle Air France lounges, as well as Clarins cleansing products and cotton pads being provided in the on-board business class toilets. 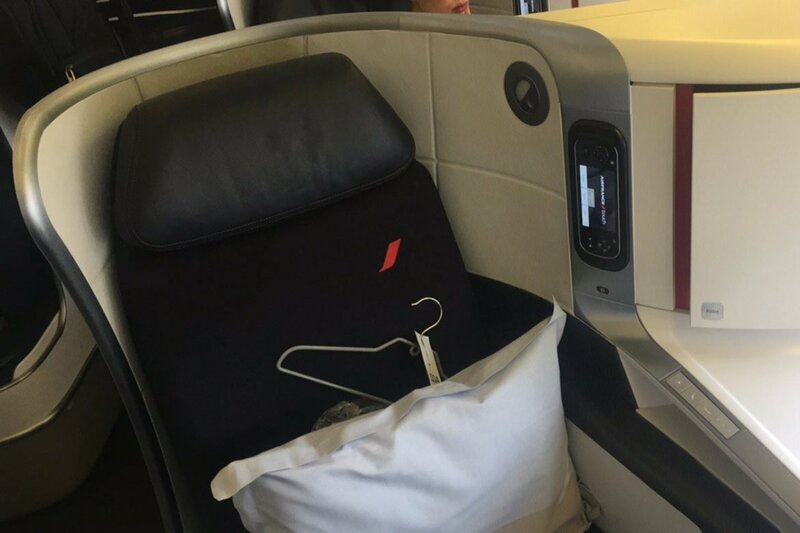 Air France shows it’s attention to detail with complimentary slippers and socks, as well as seat-numbered coat hangers waiting for each guest on your seat (alternatively, there’s a coat hook built into you seat if you prefer). 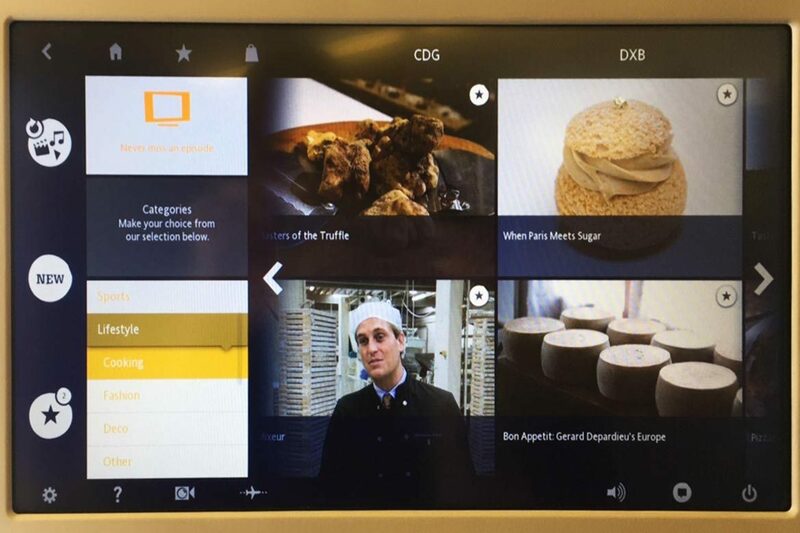 The IFE feels limited, especially for English speakers. Programs are split between French and English, however some of the English options are actually over-dubbed from French. Plenty of French-focussed programming and lots of interesting offerings for foodies. There was no Wi-Fi onboard our flight. 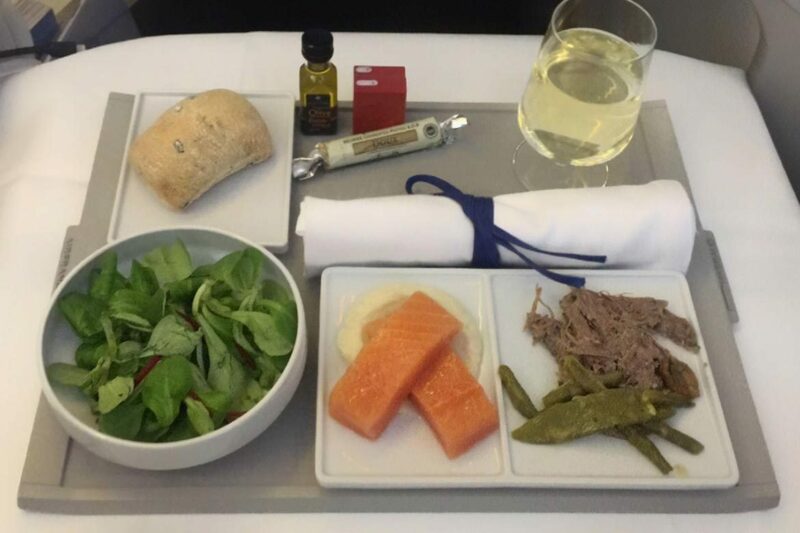 Neither pre-meal snacks nor drinks are provided on this flight, although the menu for the main meal is a nice length. 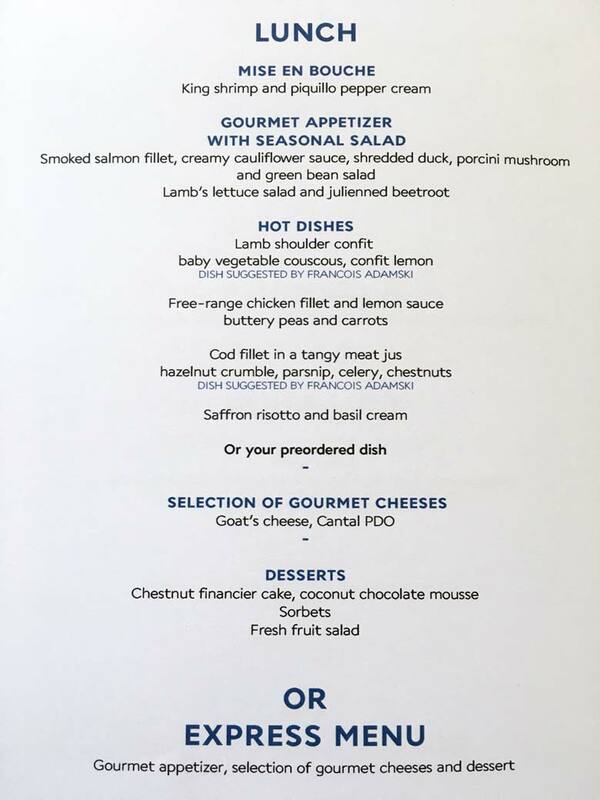 It’s somewhat limited in options however, with our Mise en Bouche and Gourmet Appetizer both being seafood, with only the main course providing choice (good variety with four options however). The bread was fantastic, as was the butter, and the salad large and fresh. There was a cheese course (which we weren’t offered) which would have been a nice touch, as well as a dessert course (which had a choice, but again we weren’t offered one). The dessert course was the best of the lot, in addition to the delicious bread and butter offered. Mains were disappointing, looking old and dried out (and not always matching menu description). The meals were all cart service as opposed to individual order and delivery, which takes some of the luxe factor out of proceedings. Disappointingly there was only one option for the light snack (again, seafood) which on a flight of seven hours doesn’t quite meet expectations. 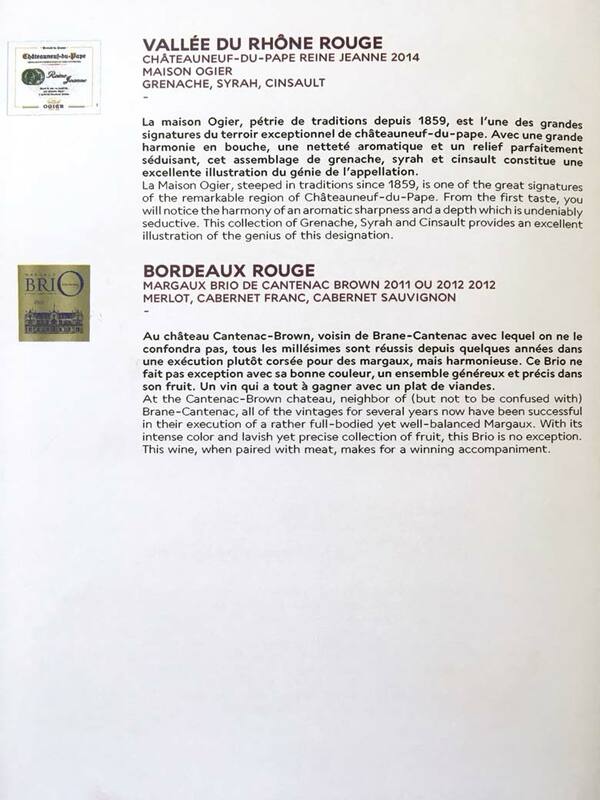 Wines were of excellent quality, the Champagne being Laurent Perrier. Post main meal there is an area in the galley from which guests may serve themselves, though there was a lack of savory snacks available post-meal – just sweets. Staff were pleasant though there wasn’t really a ‘luxury’ touch to the service. Staff were more eager to take your wine or water glass than refill it, it felt very robotic. It was also disappointing that not all courses/options were offered as choices during the meal. 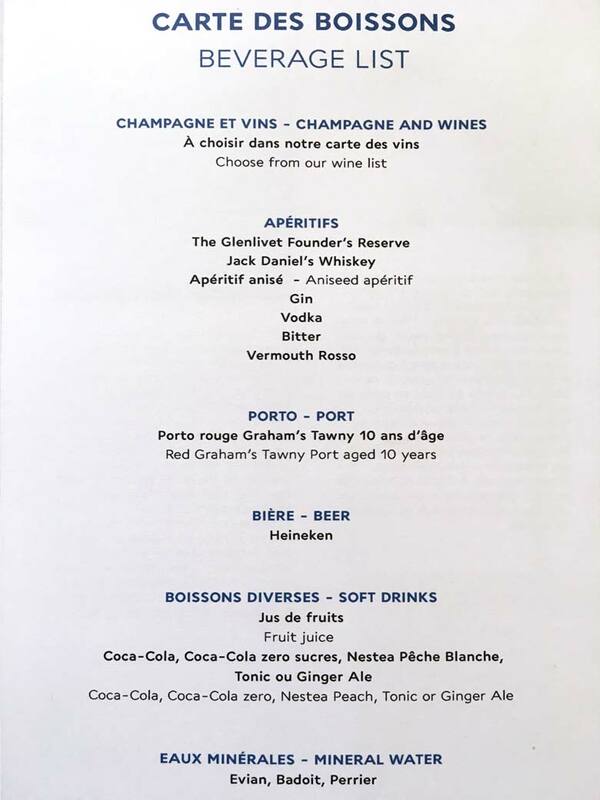 More generous service would add a lot to the Air France experience. 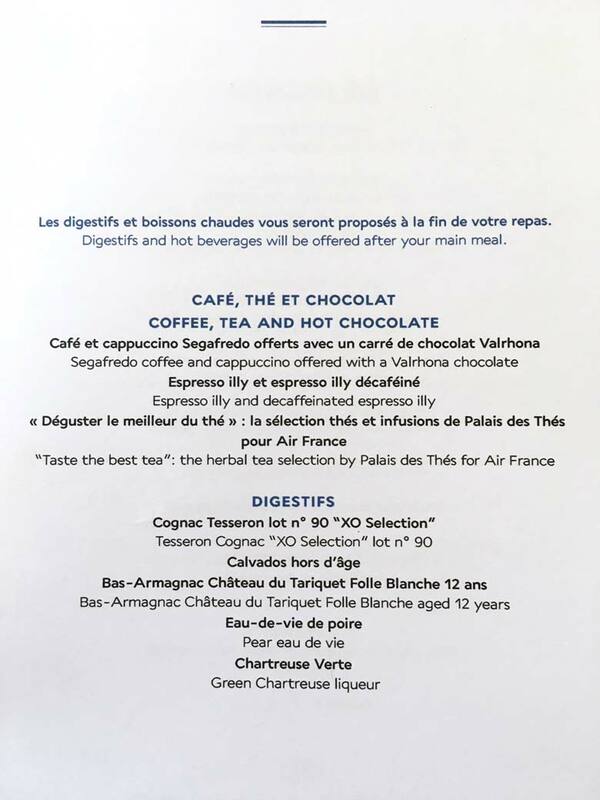 The Air France lounge in our terminal (2E-L) was under renovation when we visited, meaning a half an hour round trip to the much nicer M gates was necessary to visit a lounge, limiting time to enjoy this feature. It was, however, an expansive lounge, offering multiple relaxation areas including loungers and impressively, a Clarins Spa where guests can book a complimentary 20-minute facial treatment. Having to queue for the toilets was a downside, though food provided was of good quality with hot mains, salad, bread, cheeses and desserts on offer. 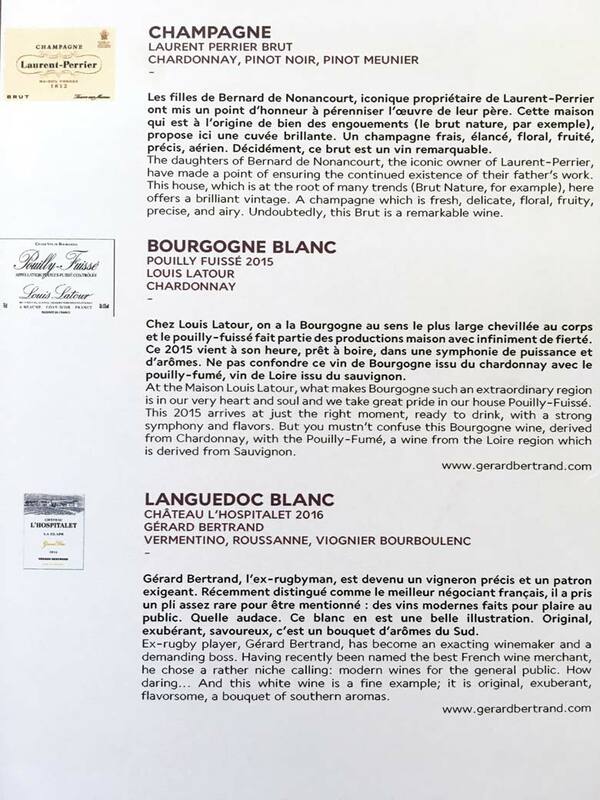 Wines were also of good quality, with Laurent Perrier Champagne again featuring. Does Melbourne’s Dinner by Heston live up to the hype?